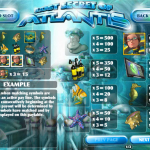 So many things were written about Atlantis over the years it only makes sense to create a game featuring it. 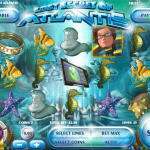 The Lost Secret Of Atlantis is exactly that. It was developed by Rival and gives you the opportunity to be part of a search-party looking for it. The Wild symbol in this game is the Shark symbol. It appears on reels 1, 2 or 3 and will expand and fill the reels to help you complete a winning combination. There are also two scatters in this game. The first scatter is the Yellow Submarine. Landing 3, 4 or 5 will win you 10, 20 or 75 Free Spins with a 3x multiplier. landing 3 or more Subs during will re-trigger the spins!! This game has some really cool graphics! The bonus round is a bit disappointing but at least you surely win something. Other than that the RTP is ok at around 95%. We think you should give it a try! Is African Safari your thing? 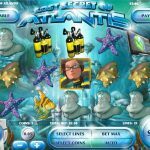 Try playing Lions Roar a 5 reel slot by Rival.